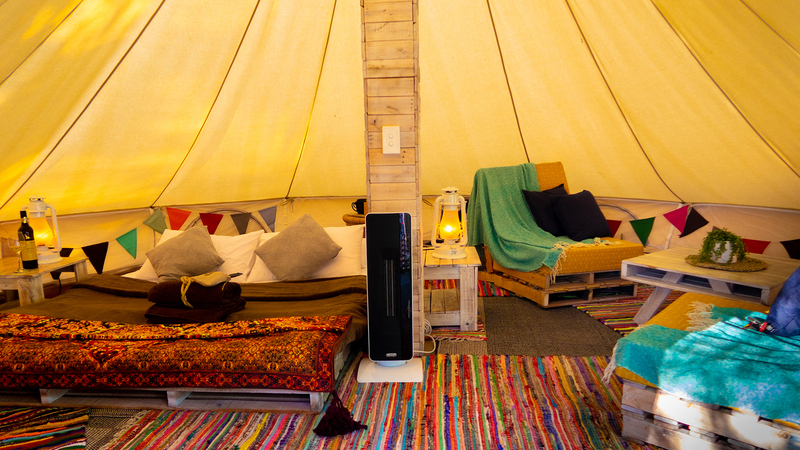 Looking for some glamour, a romantic retreat or take the kids camping without the hassles of putting up a tent? 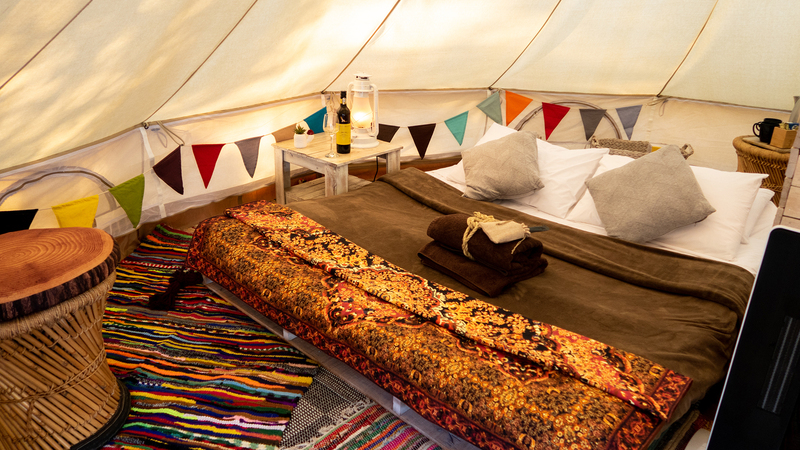 Look no further than our Glamping experience. 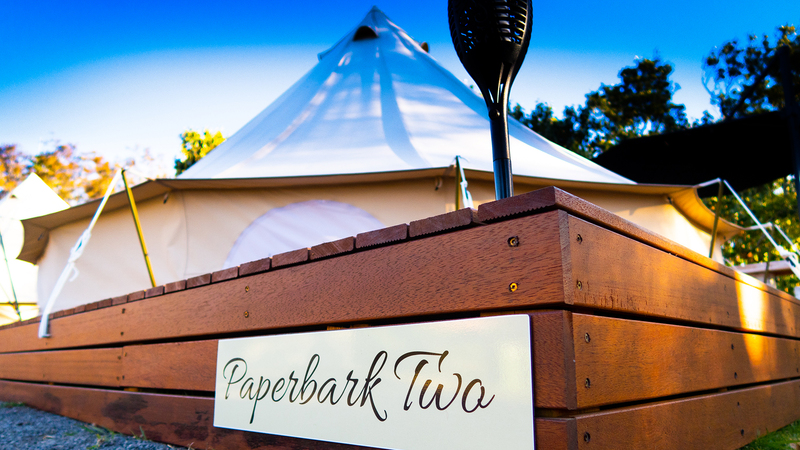 Set in quiet creek-side section of the park, our bell tents are set on wonderful wooden decks giving you a camping experience like no other. 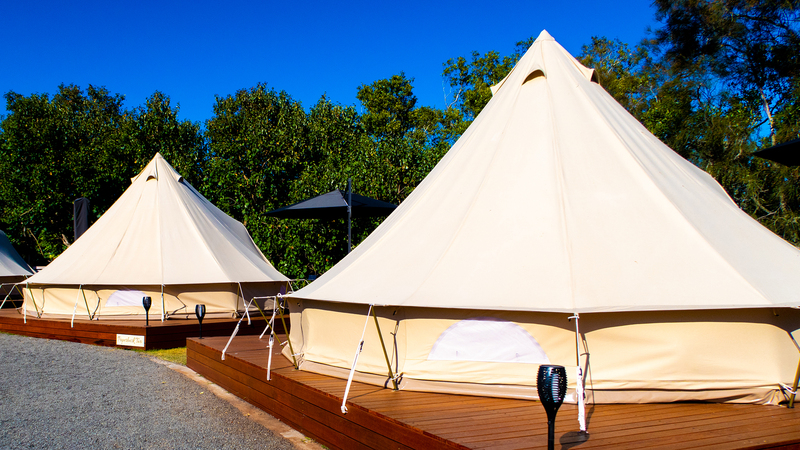 These well-appointed tents have everything you need for a fantastic break. 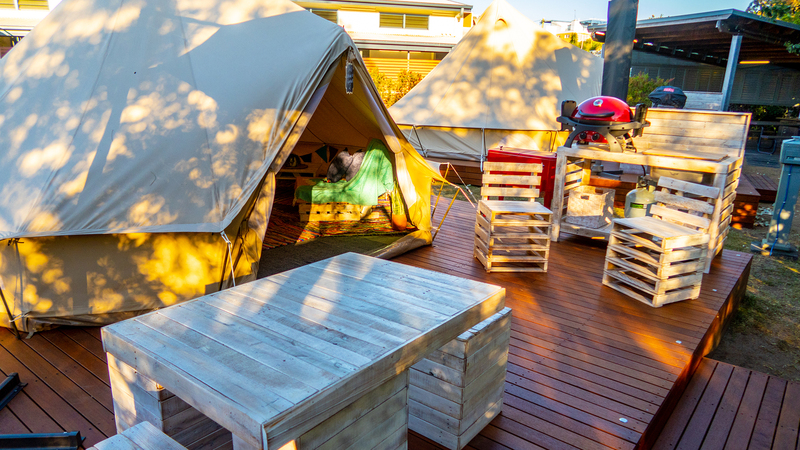 With fantastic appoints of a beautiful deck setting with a private kettle-style BBQ, a cooler and meal preparation area, plus comfortable outdoor furniture and plenty of shade. Inside a another world greats you glamourous appointments that comfortably sleeps 4. 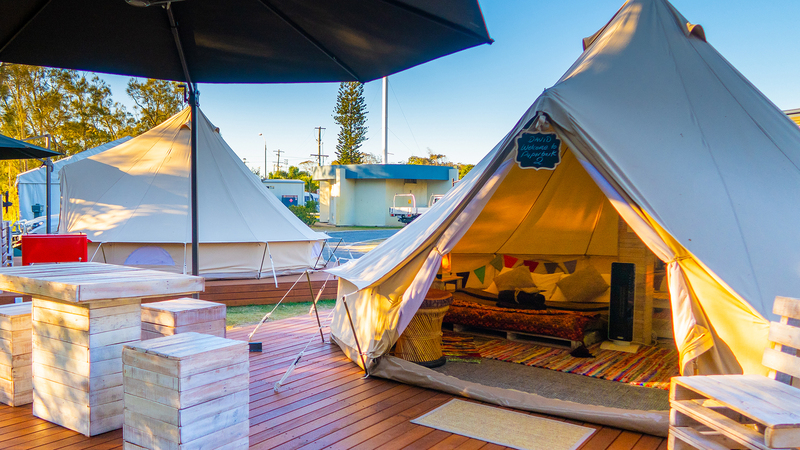 With the amenities close by and a full camp kitchen available, these tents deliver on the promise of glamping while staying close to everything Caloundra has to offer. 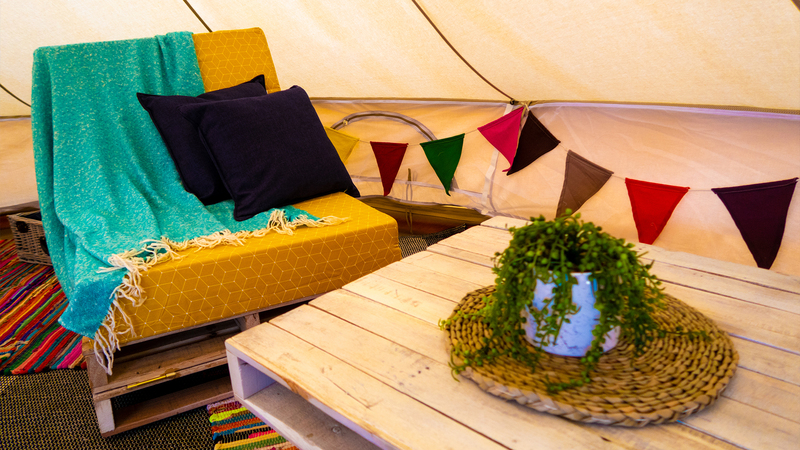 Glamping appointments with modern touches. Beautiful wooden deck BBQ and living area. Cooler (for ice) to keep drinks & food cool. Mood lighting, full power and built in USB. Queen + two fold down singles.